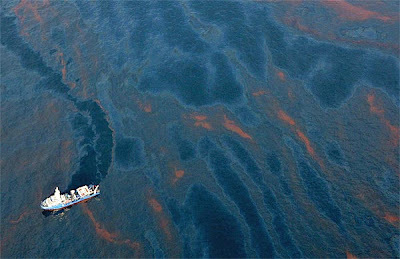 As you may already have heard, it is only a matter of time before the oil spill in the Gulf begins to reach our shores in Florida. It is critical that our government act immediately to stem this crisis. Please, take a moment to send an email to our governor and Senators. You can simply copy and paste the letter I used, which I have copied below. Then, take a moment to forward this email to your family and friends and urge them to do the same. We must force our leaders to take action NOW to protect our state. Please don't delay; take two minutes to help protect our State! Our worst fears are being realized. News reports in the Miami Herald this week report scientific predictions that it is only a matter of time before the Gulfstream current carries patches of polluted surface water and balls of tar to our pristine and sensitive beaches, mangrove forests, coral reefs, and other marine habitats in the Florida Keys and South Florida. It is critical that our state government take action immediately to protect these areas and assure that this horrible pollution does not foul our State's environmental treasures. I urge you to please put aside all other concerns and focus your energy on protecting our state from a devastating environmental catastrophe.